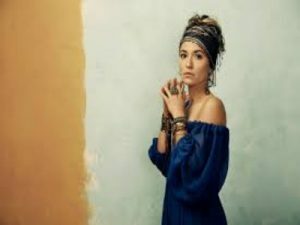 “You Say” is the lead single by American contemporary Christian music singer-songwriter Lauren Daigle for her upcoming second studio album, Look Up Child.It was released as a single on July 13, 2018. It charted on the Billboard Hot 100 at No. 53, her first entry on the chart. It is also Daigle’s third No. 1 on the Hot Christian Songs chart. The song debuted at No. 22 on the Christian Airplay chart, becoming the best start for a non-holiday song by a solo female artist in over eight years, since Francesca Battistelli’s “Beautiful, Beautiful” debuted at No. 21 on March 20, 2010.